Once again, Myra’s high quality design work has been rewarded by the Red Dot award’s jury. This year, the LVI Magni Link Zip medical reading assistant, have been one of the winners. Red Dot is the world’s largest design competition involving nearly 5,000 applicants contributions from 56 countries. Award ceremony took place in the Alvar Alto Theatre in Essen, July 29, 2015. MagniLink Zip characterized with its outstanding image quality and ease of use. At the same time it offers all the features and functions which should be available in a sophisticated video magnifiers. 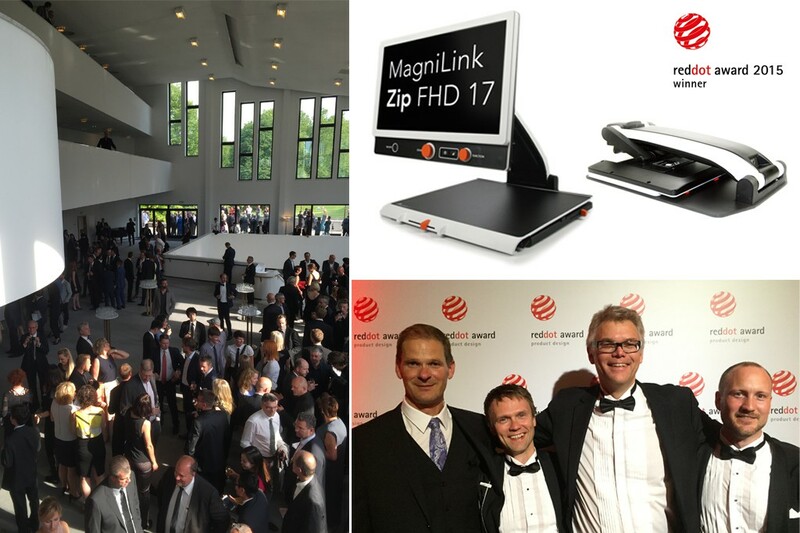 Magni Link Zip has set a new standard for advanced video magnifier.